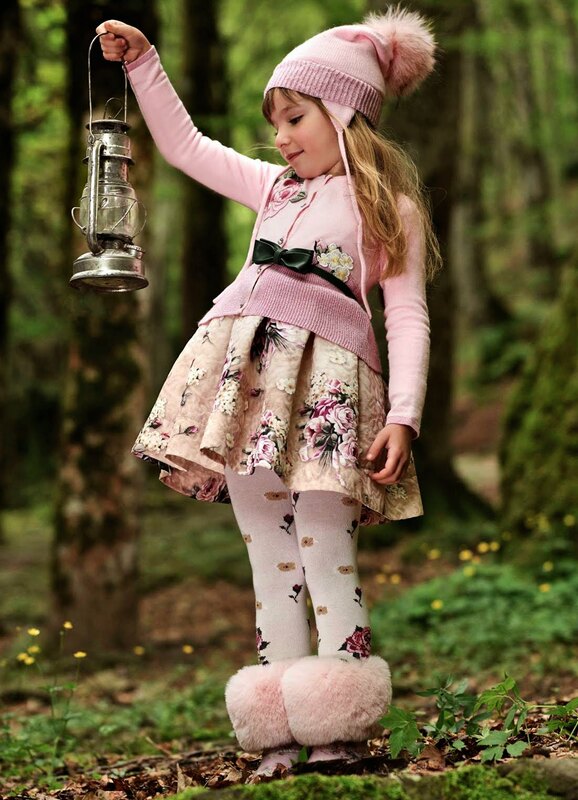 The Italian clothing brand, Monnalisa is for the girls who want to live their life to the fullest. 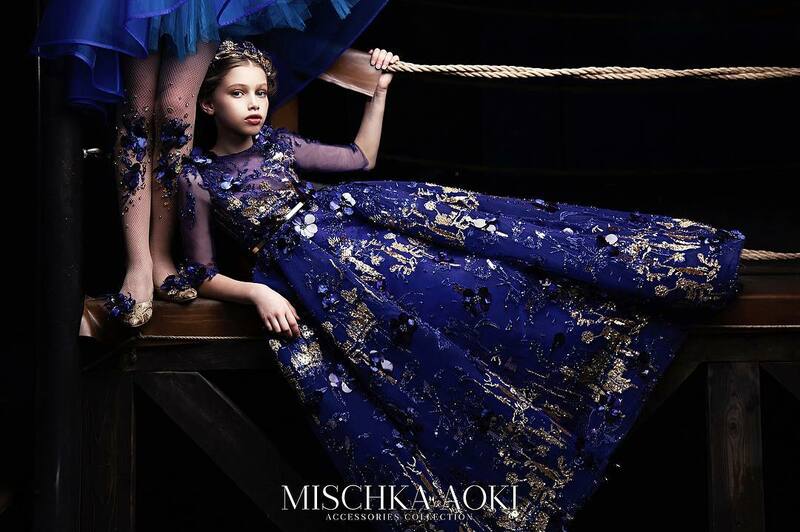 Made of high-quality material, the beautiful Monnalisa girls' dresses are manufactured with traditional sewing techniques. 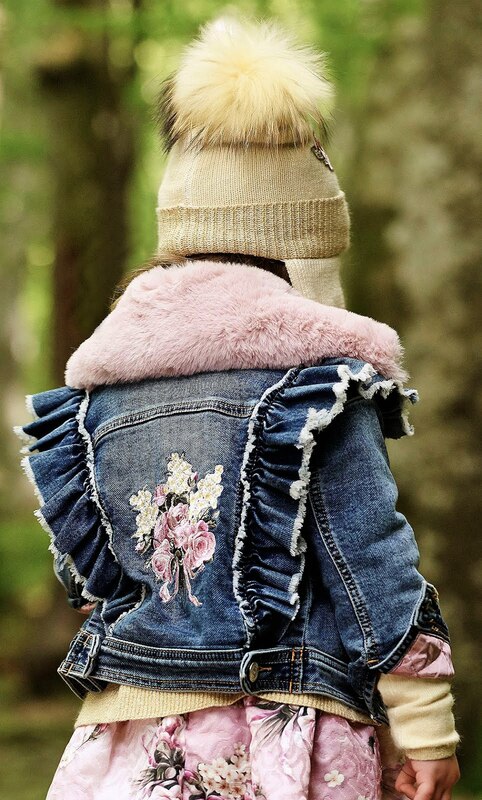 They follow trends and have the tendency to add a hint of humour into their designs, as well as Disney characters to dress their small ladies with a mix of mischief and romance. 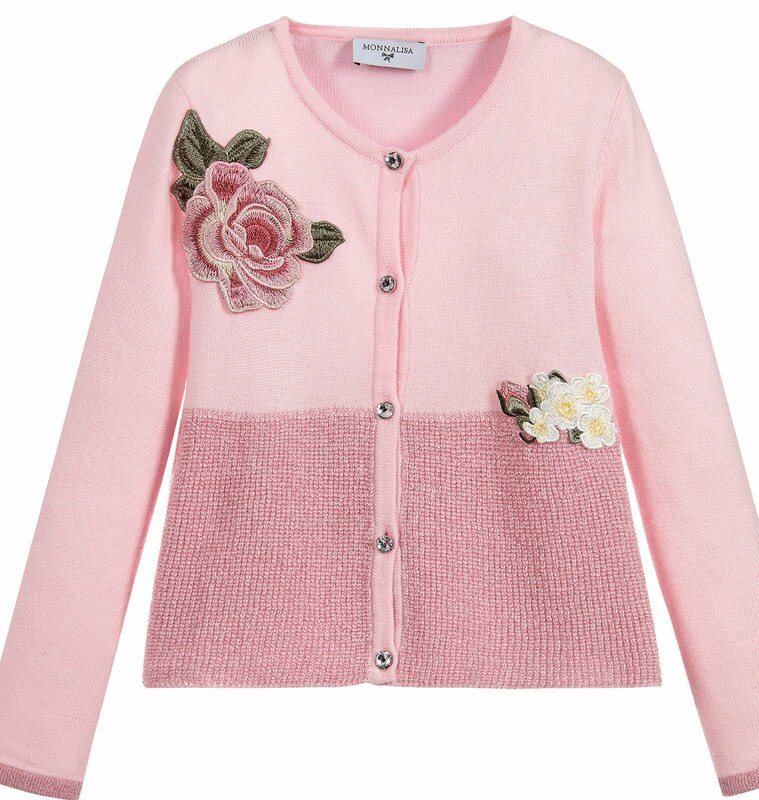 Pretty pink cardigan for girls by Monnalisa. Finely knitted, it has a touch of super soft angora wool and a glittery ribbed hem. 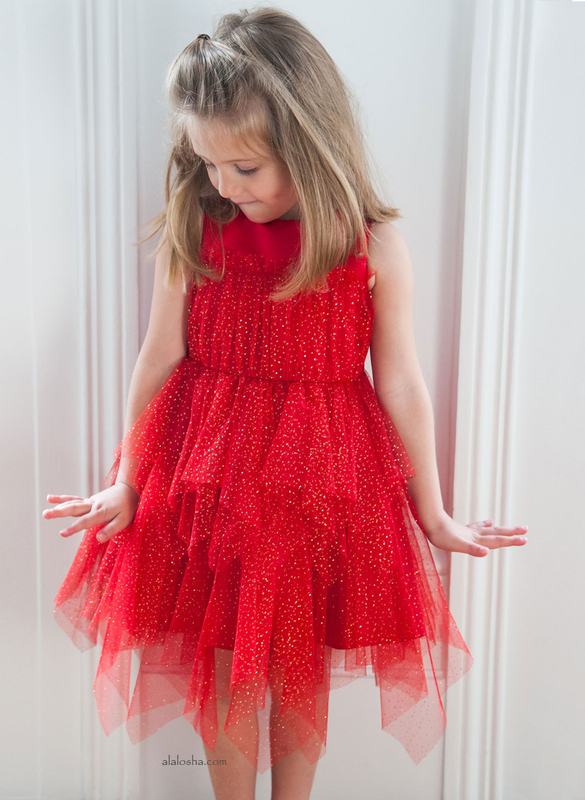 With sparkly crystal buttons and charming floral appliqués. 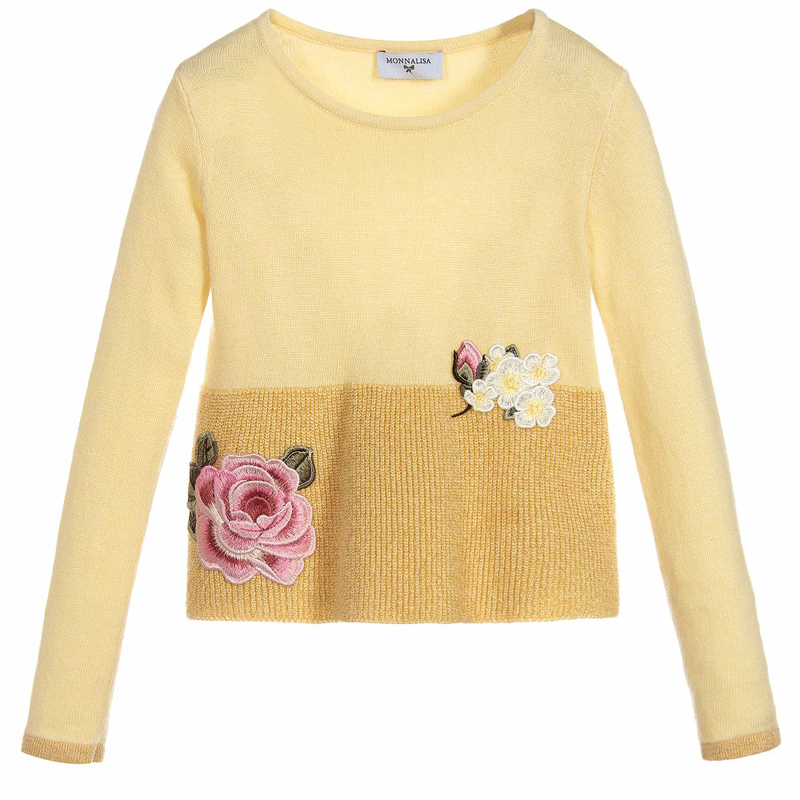 Stylish yellow and gold sweater for girls by Monnalisa. Finely knitted, this lightweight cropped sweater has a soft angora feel and a sparkly gold panel decorated with pretty floral appliqués. 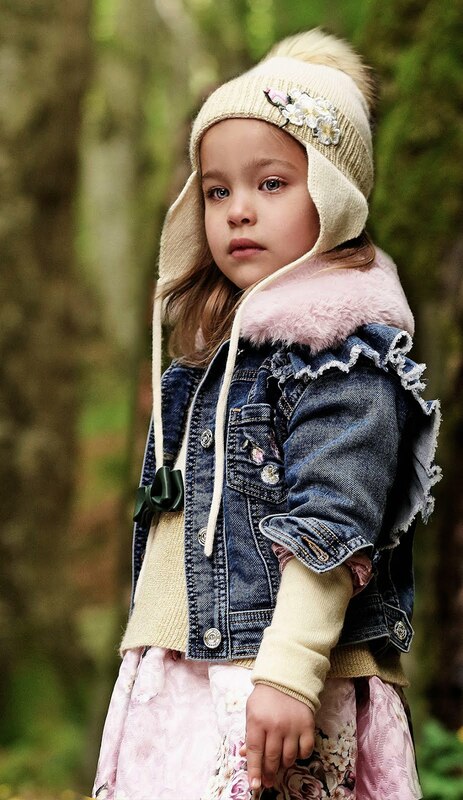 A lovely soft denim jacket for girls by Monnalisa. 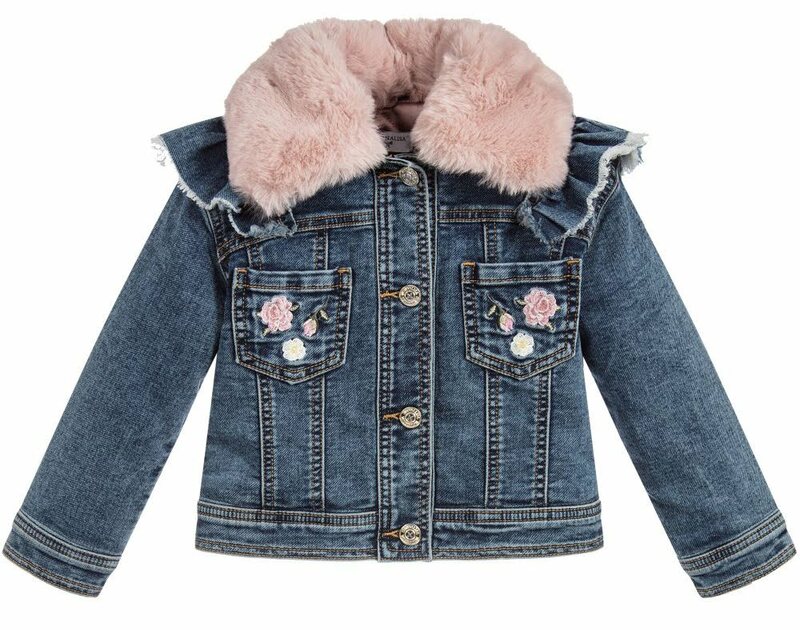 This lightly padded jacket is decorated with embroidered pink roses, ruffles and a super soft synthetic fur collar which is fully removable. It is fully lined in a silky pink quilted fabric for extra comfort.